Have you ever wondered what it would be like to freely and fully express yourself during praise and worship? If you were able to play the guitar to your favourite Christian songs, flowing freely from one song to the next, changing the rhythm, groove and dynamics of each song according to how you felt, how much would that improve your times of praise and worship? How the guitar works and its amazing role in praise and worship. A proven and tested method for any beginner to experience dramatic improvement in the shortest time possible. Easy-to-learn yet highly effective strumming patterns that you can use for many Christian songs. A series of chords that will empower you to play your first Christian song immediately after your free lesson. Wider your social circles by making Christian friends and classmates. 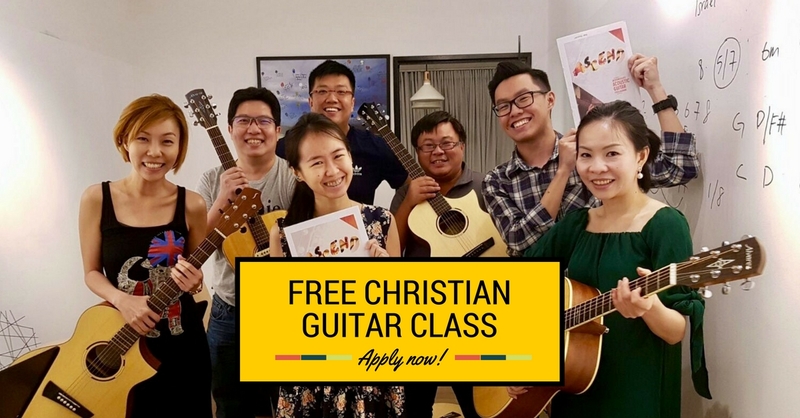 Guitars will be provided on a first-come-first serve basis (do bring your own guitar for the free trial session if you have one).